We had a fantastic time today on our class trip to Penrith! We travelled by mini-bus to Sainsbury’s where we met Alison, who works at Sainsbury’s and showed us around. Alison knew we had been learning about ‘The Little Red Hen’ at school, and so she brought in some wheat from the farm where she lives. 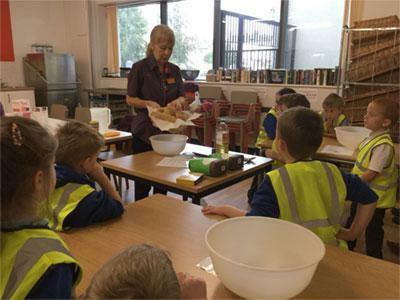 We learned about all the ingredients used to make bread, and did some careful measuring, following a recipe to bake our own bread rolls. Whilst the bread was cooking in the bakery, we had a tour of the store - including a trip to the warehouse where we saw a special kind of ‘baler’ that is used for all the packaging. We found out lots of interesting things about the fruit and vegetables, we learned why some of the bread in Sainsbury’s is called ‘Giraffe Bread’ - we even had the chance to eat some. 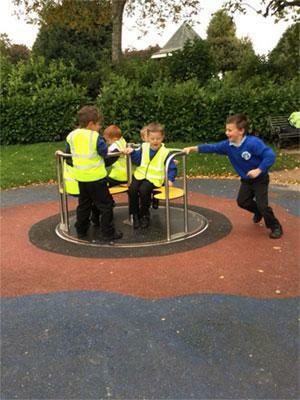 Once our bread was baked, we made our way up to the Castle Park for a picnic and a fun play on the equipment. 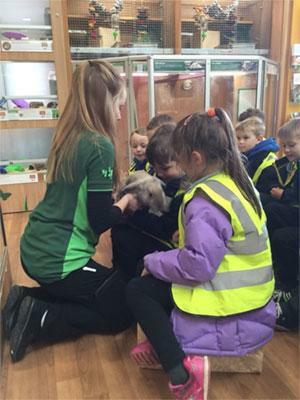 At Pets At Home we met Ralph the rabbit and most of us held him. 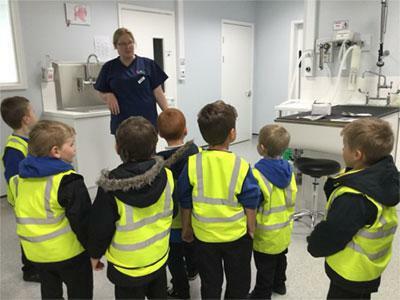 We did a workshop about caring for small animals, and visited the vet centre upstairs where we met a dog with a poorly paw, explored x-rays and visited the operating theatre. The day finished with a visit to the aquarium area - and we chose our very own pet goldfish to take back to school! Well done class one - what a brilliant day.